According to many neoliberal politicians and economists, assistance to the unemployed and poor always creates more of the poverty it aims to alleviate; therefore removing welfare benefits and social support is necessary to compel the ‪‎poor‬ and unemployed to work. What is the origin of this erroneous, but still widely accepted, idea? Analizing Karl Polanyi‘s canonical writings, Margaret Somers & Fred Block show in their article that this idea is rooted in the bifurcated view of human nature that emerged in Anglo-American culture in tandem with the birth of Political Economy in the late 18th century. 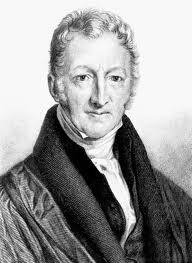 Thomas Robert Malthus, one of the founders of classical political economy, expressed alarm that despite a ‘generous’ welfare system, poverty in England kept increasing. While others pointed to the effects of large-scale displacement from agriculture and rural crafts, Malthus reasoned from what Somers & Block call “the perversity thesis”—the claim that assistance to the unemployed always creates more of the poverty it aims to alleviate. In this conception, receiving unearned resources incentivizes the unemployed not to seek work, thus perpetuating their own condition. The linchpin of the perversity thesis—just as in modern economic theory—is that scarcity is the normal state of human life. Hunger alone disciplines the unemployed to seek work and control childbirth. Remove that scarcity by ‘artificial’ means—like food stamps, unemployment benefits, or an adequate minimum wage—and the incentive to work also disappears. In his diatribe against the poor for procreating recklessly, Malthus adds a slippery caveat about the contrasting behavior of the well-off: while the lower classes are biologically driven to respond to base incentives, the better-off exercise ‘moral restraint’ and ‘prudence’ in the face of sexual temptation. This entry was posted in Books and tagged class, economic history, ideas, inequality, Karl Polanyi, neoliberalism, Political economy, poverty, United Kingdom, welfare. Bookmark the permalink. 2 Responses to Removing social support is necessary to compel the ‪‎poor‬ to work — what’s the origin of this erroneous political idea? Still millions of believers here, thats for sure… and they just took control of the US Congress! Yikes! Well… Ideas are powerful, but they are NOT undefeatable. We have seen paradigms shifts in our economic history, therefore there is no reason it will not happen again. This community, which already brings together more than 25,000 people from 90 countries, aims to disseminate the insights of socio-political research of the economy to the public and academics — and this is our journey to equip our followers with a powerful scientific arsenal to lead the intellectual fight against market fundamentalism and neoliberal ideology.